I found some new recipes to try out this week while combing the glorious site, Pinterest. 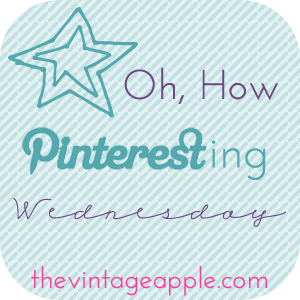 It’s gotten to the point where The Boy now rolls his eyes when I mention the word Pinterest. Come on now, it’s so much easier to pin recipes for later than it is to print them out, or save to a recipe collection on one specific site. I had accounts with Pillsbury.com, TasteofHome.com, FoodNetwork.com…you see where I’m going, that’s a lot to keep up with. Meal planning with Team Sudds (that’s what I call us during “insanity” to sound official) has gotten so much easier. I just go to my “yummy recipes” board and plan our meals weekly. There’s no scrabbling around anymore! The only one I’ve made from this group was this yummy stuffed cabbage casserole. *Drools* It was so good and low calorie. I wanted to just put my face in the bowl it was so good. (don’t worry, i didn’t) The Boy, who turned his nose up to the fact that this recipe calls for onions, loved it! For a family of two, you’ll have plenty of leftovers. Which we love because we like meals that give us more bang for our bucks. If you do try this recipe, you HAVE to get the Hungarian paprika. Regular paprika will not give this recipe the same flavor and the smell of Hungarian paprika…will take you on a trip (of the non-acid variety)! Have you entered the Clothed in Hope giveaway yet? That Stuffed Cabbage Casserole looks delish! Wish I had seen this yesterday… we got a head of cabbage in our produce-sharing basket and I tried a new sausage and cabbage soup recipe but it wasn't very good. Thank you so much for linking up to the blog hop! Wishing you all the best in your bloggy endeavors. Newest Follower 🙂 Cheers! I use Pinterest now for all my meal planning too! I love that it's all in one spot and when I go to cook, I just bring my laptop into the kitchen with me! How funny!! Mike always laughs at me if I miss a night on Pinterest! I want to try that casserole, it looks so good!